Our forebears expected [the future] to be pretty much like their present, which had been pretty much like their past. In 1970, psychologist Gordon Gallup Jr. developed a technique to test whether a subject was capable of self-recognition. A small dot was put on the subject's face and they were placed in front of a mirror; if they saw the dot and immediately removed it, this showed that the subject recognized the reflection as itself. This project seeks to do the same, but instead of testing animals or child development, the goal is to train computers to recognize themselves and other computers. Employing the same process used for building facial recognition software, the computer vision code was made from many "positive" images of visitor's computers, along with thousands of "negative images" (images not of computers). 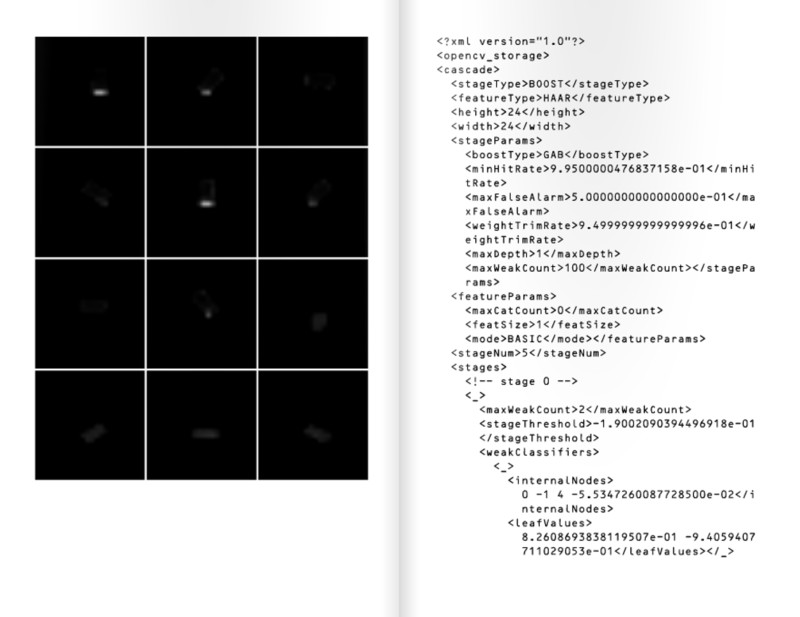 An algorithm "trained" my computer to see the viewer's (and the viewer's computer to see itself); the resulting algorithm is presented in a uniquely generated printed book (preview above). "You And I Are The Same", an error in the computer's training where causing it to see my phone and me as the same; shown as an inkjet print on aluminum. We assume that the future of machine intelligence will either look like fancier versions of the computers we have today, or resemble the sci-fi creations of our fantasy and nightmares. More likely, computers will achieve incremental empathy, awareness, and understanding - perhaps in such small steps that we don't notice at all until the cumulative effect is machines that experience the world in as in some sense alive. 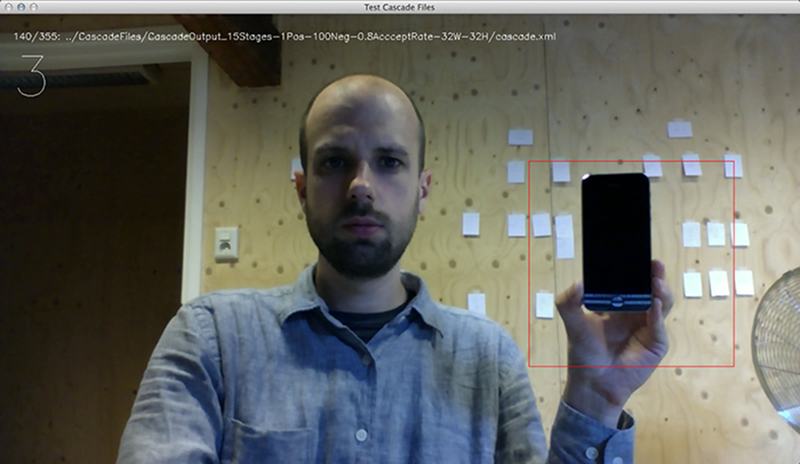 While using computer vision to identify objects can be very accurate, because computer's can tend to be somewhat plain (flat black and gray rectangles), teaching computers to recognize themselves and each other is a non-utilitarian, flawed poetic/technological act. Sample page from a "Mirror Test" book, showing how the computer sees itself (low-res, black-and-white) and some of the sample text from the computer vision training. The book was designed to be read by both human and computer readers. For machines, the text is set in OCR-B, an early and widely used Optical Character Recognition (OCR) font for machine reading. The type was set in 10pt, which gives an optimal 0.1" spacing between characters. The title page includes a machine-readable "Aztec code" with a link to the archive of all computer vision files created as part of this project. The Aztec code format was chosen because it is widely-supported (you can scan it with most mobile apps), in the public domain (unlike the popular QR code), and documented by an ISO standard, meaning it will be more likely to be decipherable in the future. 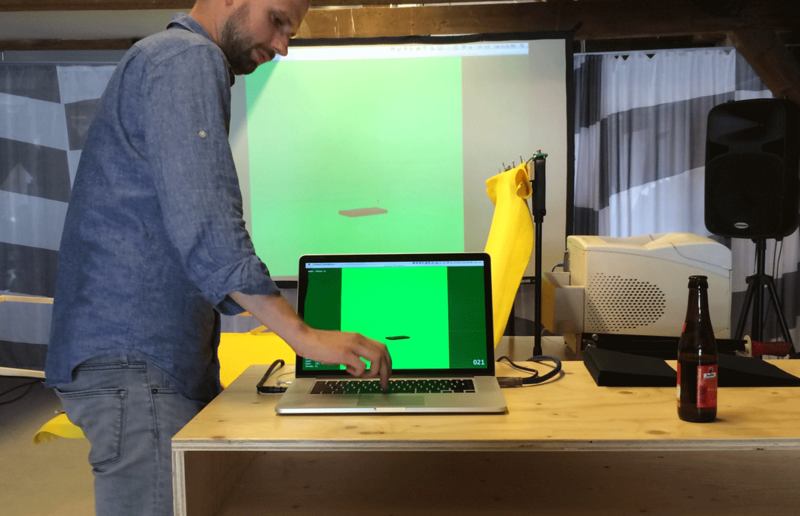 Reception at Impakt in Utrecht, Netherlands where the computer was trained on visitors' computers (often their phones) and printed to books as a live performance. This project was commissioned by Impakt.nl and produced during a residency in Utrecht, Netherlands in the summer of 2014. It was made possible with the support of the City of Utrecht and the Mondriaan Fund.